Facial Rejuvenation: Erase Wrinkles and look years younger without surgery. Neuromodulators such as Botox and Dysport are remarkably effective for eliminating deep grooves, furrows and wrinkles and helps restore a soft, natural and relaxed appearance. It can also be used to effectively control migraine and tension headaches. Dr. Cziraki has been administering Botox treatments for her patients since 2004. Dr. Cziraki has both the experience and expertise to customize your treatments, minimize side effects, and provide a long-lasting, natural looking result. People who are embarrassed by their large, visible gums are now turning to Botox for the ‘ideal’ Hollywood smile. Dr. Cziraki injects Botox into patients’ upper lip muscles, to decrease the amount of gum shown and prevent the so-called ‘gummy smile’. Your perfectly straight teeth create a beautiful smile that can be further enhanced by using Botox to correct the position or fullness of your upper lip. It costs roughly $300, takes ten minutes to administer and last for up four months. Is this the secret to a Hollywood smile? Dr. Cziraki injects Botox into the lip to correct a crooked smile caused by asymmetric muscle tone. The results last several months. Dr. Cziraki can improve the size of your upper lip using Botox which creates a more natural looking fullness to your lips. Botox is more affordable than dermal fillers such as Restylane and Juvederm. 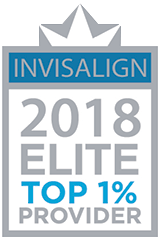 Book a complimentary consultation today to find out how you can create your perfect smile. Are you frustrated with the lip lines that make applying lipstick difficult? Not a smoker but have smoker’s lip lines? Does your upper lip give away your age or make you look older than you feel? 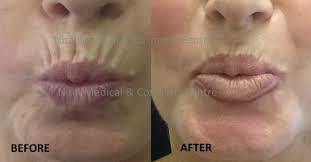 Dr. Cziraki uses Botox to erase these lines and create a natural, rejuvenated appearance for your lips. BOTOX® Cosmetic is a prescription medicine that is injected into muscles of the face and used to improve the look of moderate to severe wrinkles and to reduce symptoms of Migraine and tension headaches as well as treat some causes of TemporoMandibular joint Disorders (TMD). The effects of Botox are temporary (3-4 months) and repeat treatment is necessary to obtain optimum results. Book your consultation with Dr. Cziraki today to learn how Botox, the world’s leading antiaging therapy can improve, rejuvenate and enhance your beauty and well being.